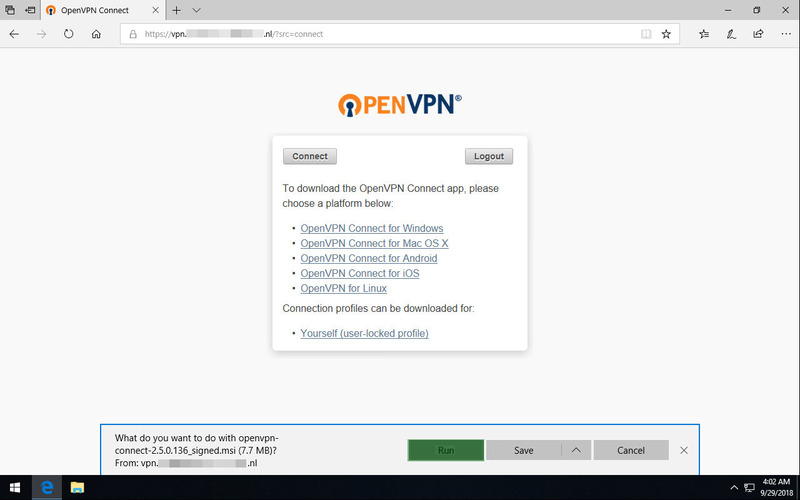 This guide is meant for users of the OpenVPN Access Server product that wish to connect their Windows computer using the official OpenVPN Connect Client software. 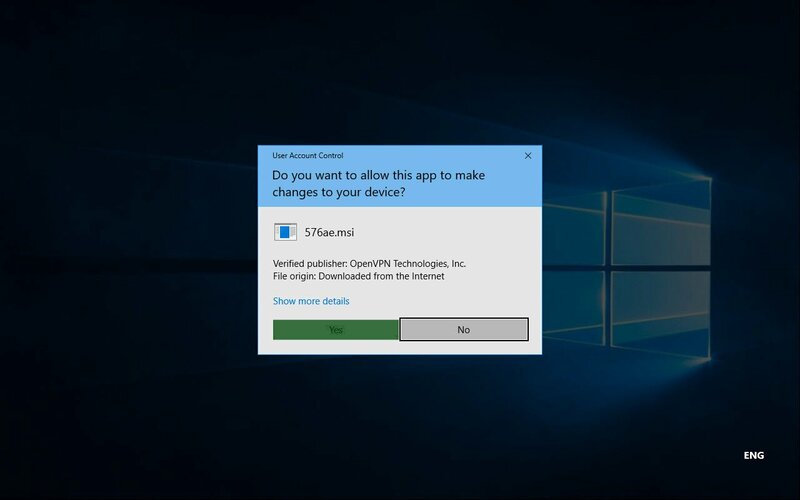 In the steps outlined below we’ll take you through the process of obtaining the OpenVPN Connect Client from your Access Server’s web interface, and installing and using it on the Windows operating system. Aside from some minor differences due to different versions of software used this guide should be accurate and easy to follow. Each step can be clicked to show a screenshot for that particular step in the installation process. Each screenshot can be clicked to reveal an image gallery you can follow to go through all the steps. 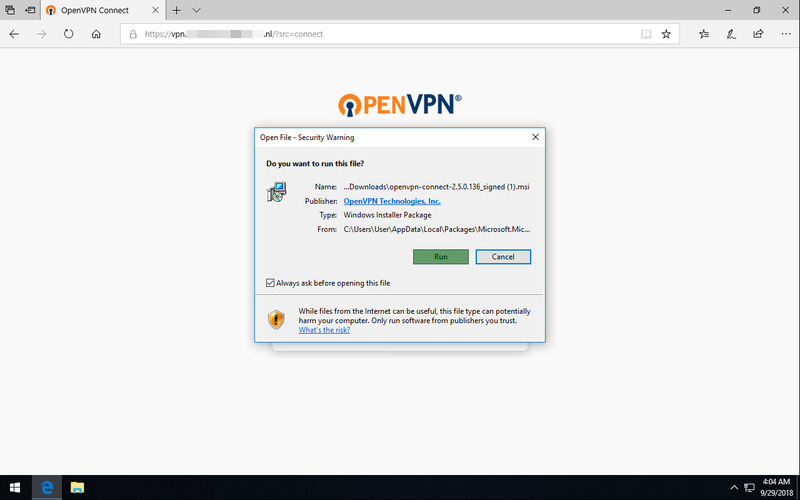 You will need to have a valid set of credentials, like user name and password, and of course the address of your OpenVPN Access Server. If you are not the administrator of the Access Server you are going to connect to, then you should contact the administrator of this server to obtain this information. We here at OpenVPN Inc. cannot provide this information, since we do not manage servers run by our customers. 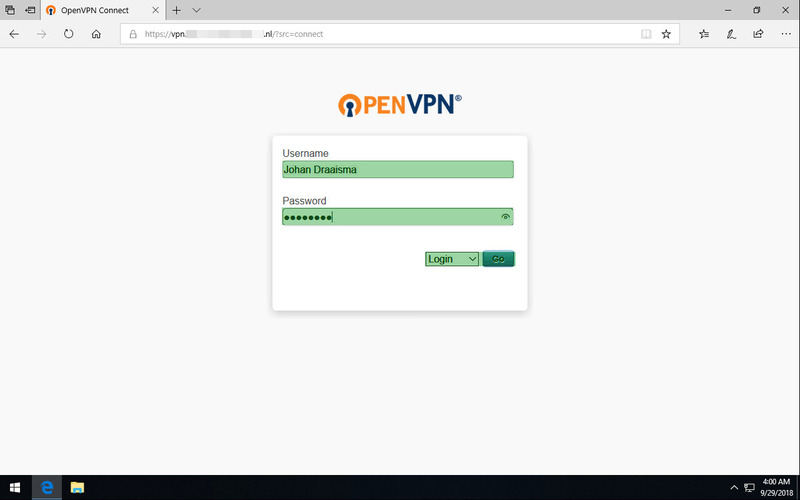 If you are the administrator of your Access Server, you can create new user accounts using the admin web interface of the Access Server or the external authentication backend you have configured, and then use those credentials to obtain and install the OpenVPN Connect Client on Windows. For Windows Server platforms we recommend the open source OpenVPN client. 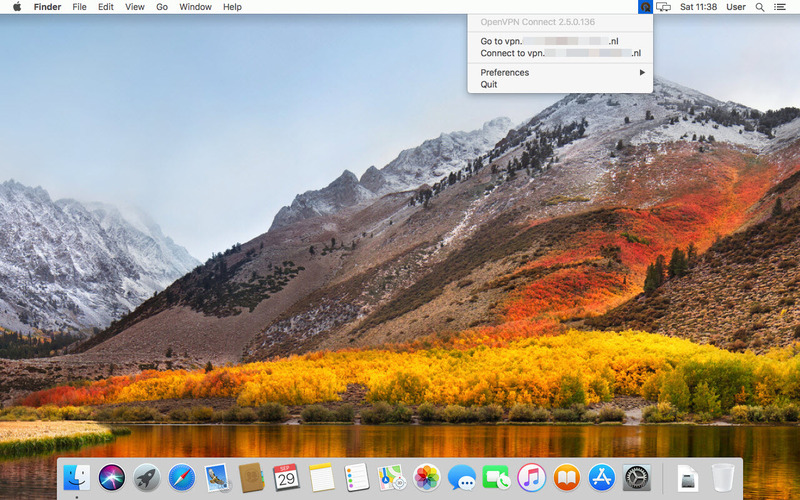 It comes with a service component that starts an auto-login connection as a system service, and it also comes with a GUI that allows manually starting a connection. Please note that we do not enforce version checks. So you may find that the client works on older versions of Windows, but we only provide support for the platforms mentioned above. 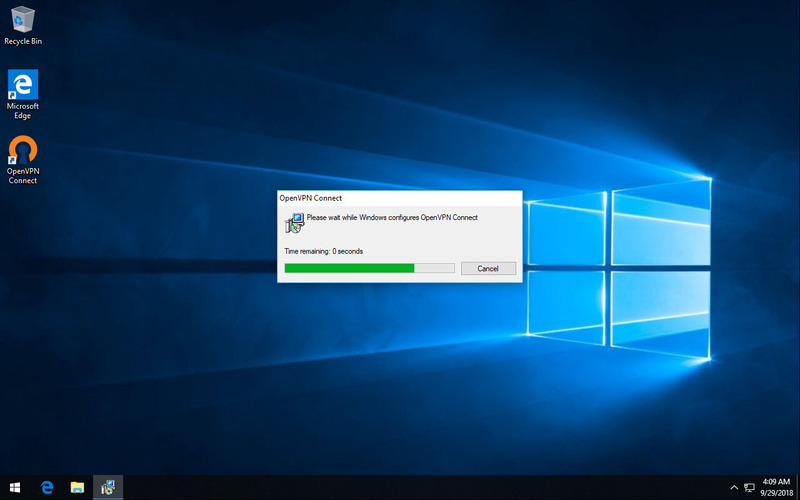 If you require connectivity on an unsupported Windows platform where the OpenVPN Connect Client doesn’t work, like for example Windows XP, then we suggest you try an older OpenVPN open source client for Windows as it may still have some support for Windows XP. Navigate to the OpenVPN Access Server client web interface. 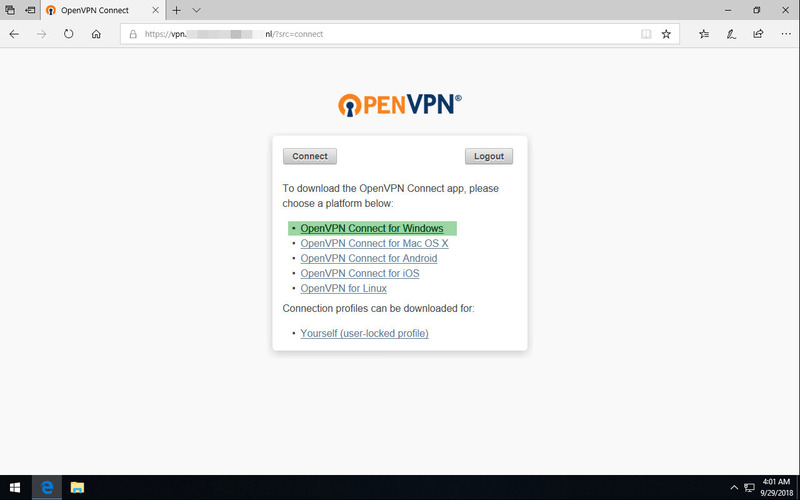 Select ‘OpenVPN Connect for Windows’. Wait until the download completes, and then open it (the exact procedure varies a bit per browser). Click ‘Run’ to start the installation process. Click ‘Yes’ to approve the privilege escalation request. 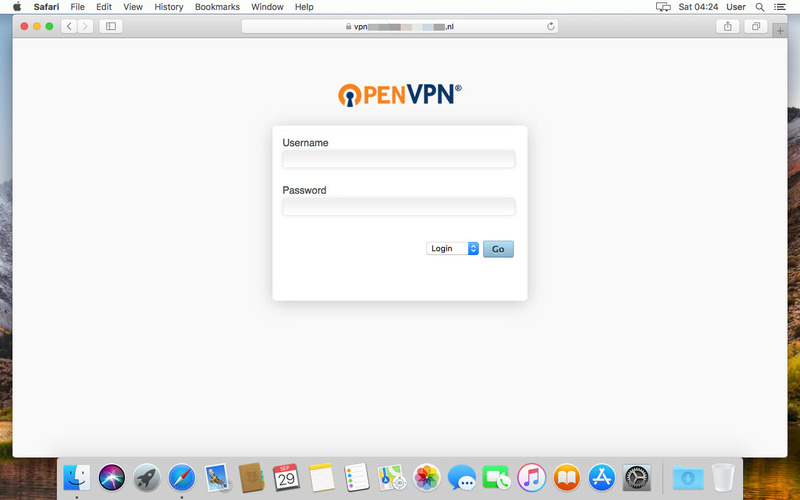 In the system tray, the OpenVPN Connect Client is now ready for use.